We will make your communications work harder for you. Full Circle brings together a team of skilled communication experts with one clear aim; to enhance and increase the impact of your communication activities on your business bottom-line. We have communications expertise using many different tools and across multiple channels. Whether it’s PR consultancy, media relations or crisis communication support, technical articles or business content, social media campaigns or strategic planning, the team brings a level of knowledge and expertise that can make a real difference to your corporate communications. Creating messages that are relevant and lead audiences to take action. 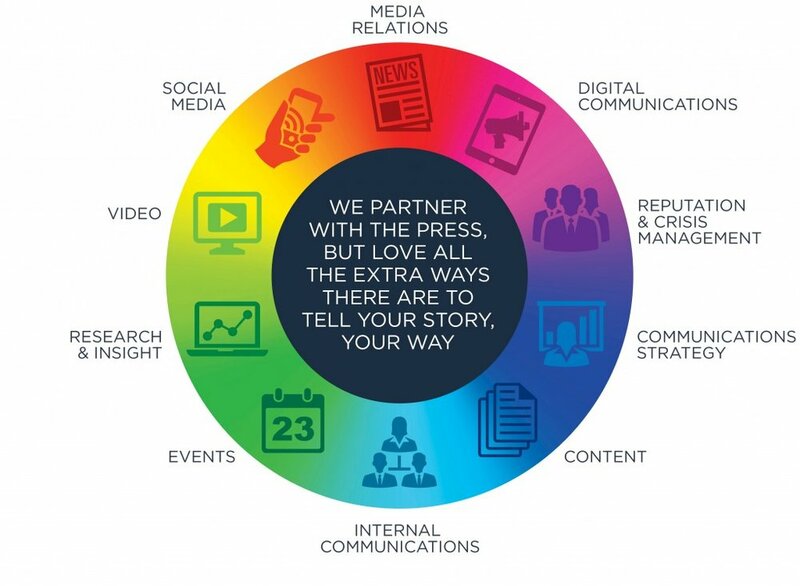 Working with the media is at the heart of what we do but we also recognise the importance of using the right communication tools to reach our clients' target audiences, and perhaps more importantly, engage with them. We call our approach PR+. We take care of the communications essentials; building or protecting your brand reputation, increasing awareness among your existing and prospective customers, keeping your clients and business partners up to speed on the successes and developments and securing new business opportunities. Full Circle brings the skills, experience and communications expertise to deliver measurable results. We will add value to your business. By focusing on the right messages for the right channels to engage your audiences, whether they are clients, prospects, business partners or market influencers, you need to ensure you are getting measurable results and business value. It all starts by building a real understanding of your business, your strategy and objectives, products and services, and not just who your target audiences are but what they are looking for from your business. We don't just want to create a PR plan but build a plan that supports and helps your business growth. 30+ years working in reputation management and corporate communications in the insurance industry. Works strategically and tactically to deliver impactful PR for a wide range of insurance markets. Martin works with clients to build their brand through effective engagement that changes the perception and attitude of the market towards them and the willingness and desire to trade with them. 10 years working within the insurance financial services with the last 4 as Senior PR Executive for a large general insurer. Bringing brand to life through engaging PR, social media and reputation management. A marketing professional for more than 30 years, Neil is driven by managing client reputation via multi-channel communication campaigns. 18 years’ communications experience in international PR, national campaign management and crisis communications, together with a wealth of insurance and financial services know-how. 37-year veteran in the insurance market. Front-line Lloyd’s claims, then building insurance services businesses and for the last 17+ years dealing with reputation-driven strategy. Passionate about digital communications and empowering the financial services sector to leverage greater engagement, brand visibility and profitability via the full spectrum of online platforms. Building brand value by placing an everyday importance on analysing and optimising digital communications, with the ultimate goal of delivering measurable results. Over a decade in digital marketing applying his knowledge and expertise to help financial services clients develop the right strategy to engage their target audiences. Over 20 years’ experience in financial services marketing communications, specialising in insurance and professional services. We will help you understand and influence your customers. We welcome corporate communications enquiries however large, small or complex. Get in touch and we can set up a call or meet to discuss how we might be able to help you maximise your communication efforts. Located between Liverpool St and Moorgate stations, we can be found just next to Finsbury Circus.